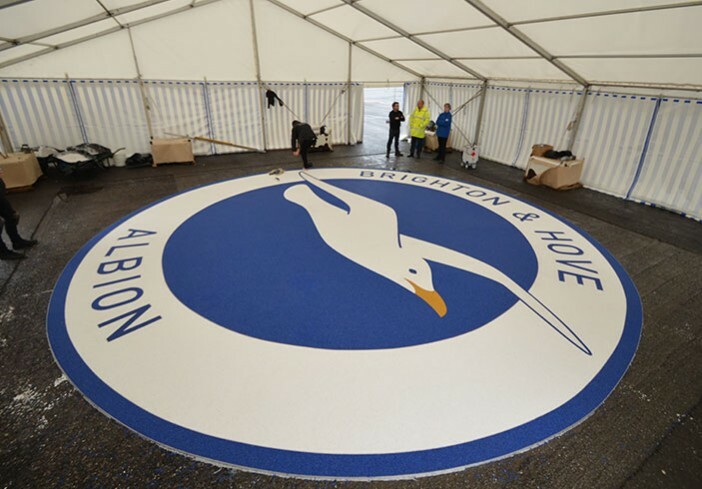 Clearstone installs B&H Albion’s iconic Seagulls logo, 8m wide on the concourse outside the merchandise shop at the American Express Community stadium. 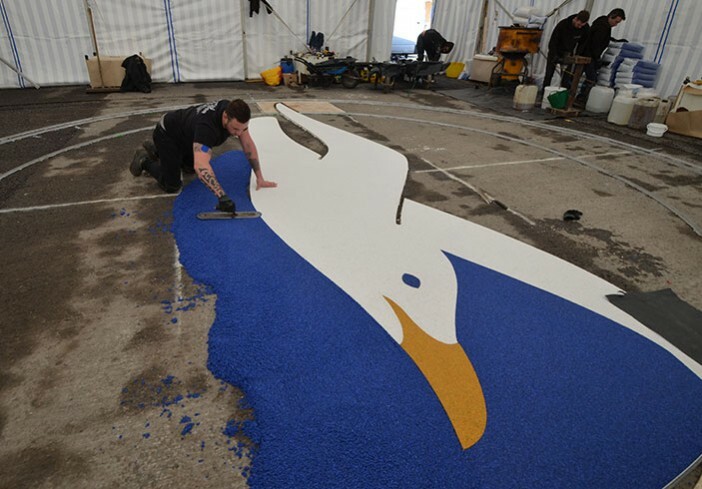 Comprising of the football clubs colours of white and blue with a neat yellow beak. 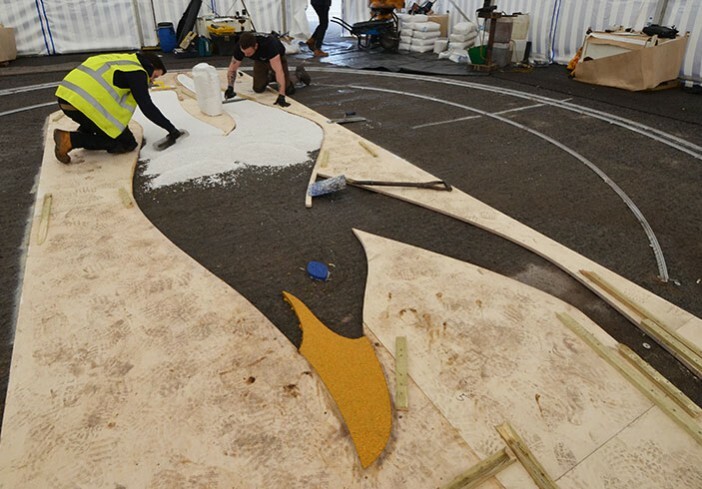 Laura Collins, Projects Manager at the stadium was tasked with commissioning a company to produce a giant Seagulls crest, on the American Express Community Stadium concourse. 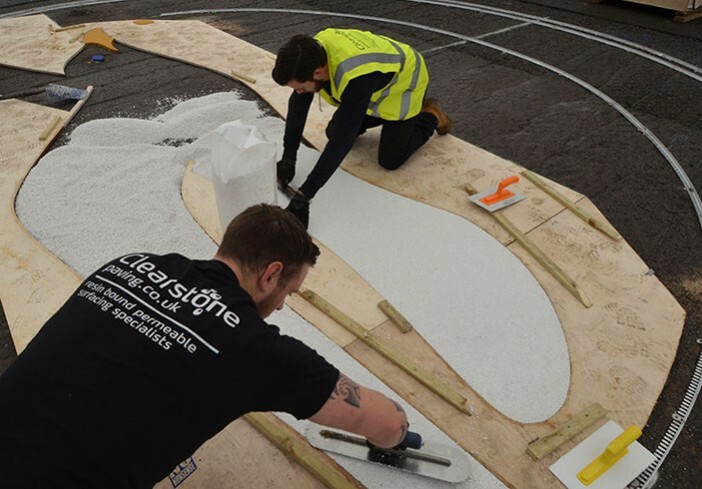 After looking for a company who specialise in custom paved logos, Laura came across Clearstone, a specialist resin bound surfacing installer, a local company with their base in Sussex. 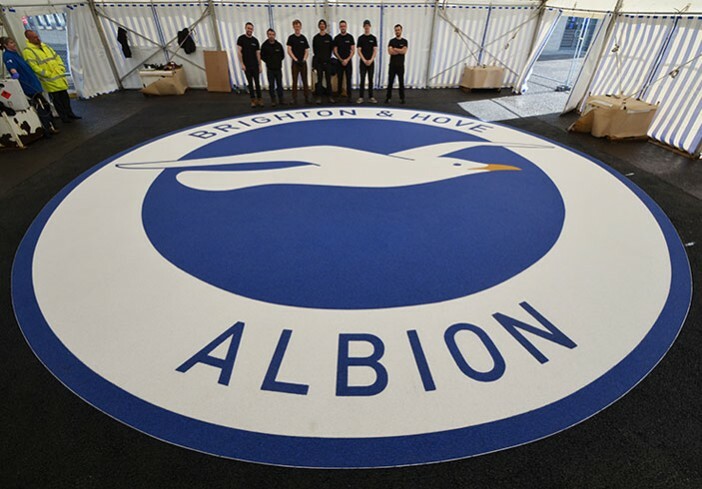 “We wanted to install a giant club crest to welcome our fans to the Amex stadium and approached Clearstone as a company local to us. 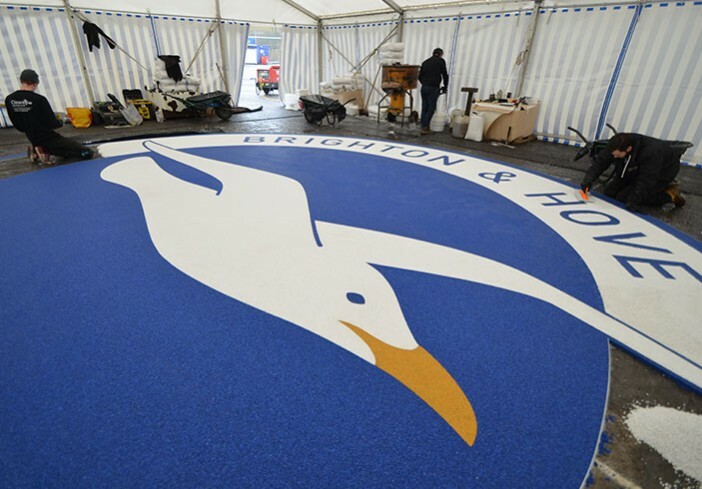 We are very happy with the final result and the quality of the work is first class. 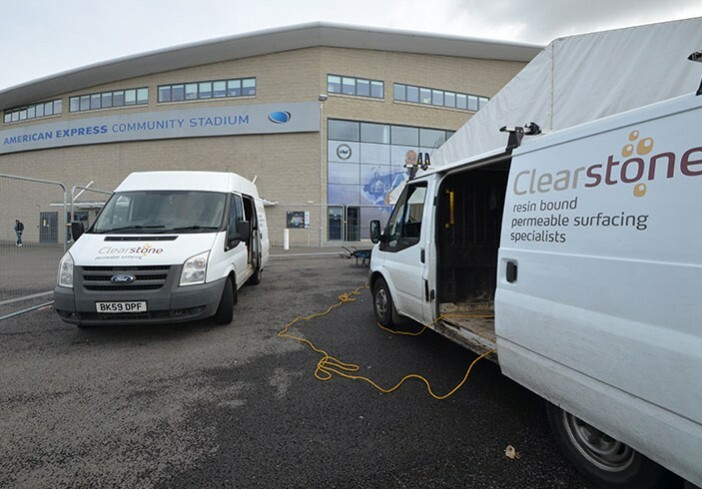 The Clearstone team were a pleasure to work with and they ensured the job was completed professionally and promptly. 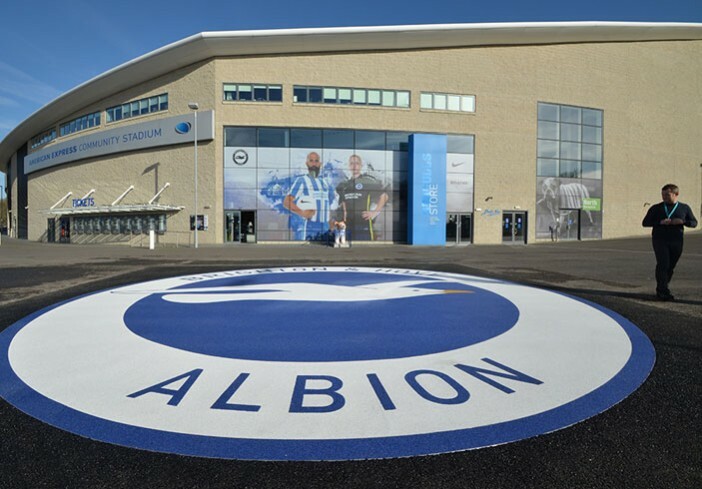 We would not hesitate to recommend them to others.” Laura Collins, Projects Manager, Brighton & Hove Albion Football Club. The football team are nicknamed the ‘Seagulls’ and their crest is an iconic symbol that fans recognise around the world. Andy in the office drew the logo in Vectorworks, and got another local company Cirrus Laser of Burgess Hill to laser cut the intricate stencil formers, which were carefully pinned in place by Clearstone’s talented installation team. Infilled with bright white and blue pigmented quartz which represent the teams home colours of blue and white stripes that they play in.